Making the interior of your home look good is important, but many people forget about the driveway leading up to it. After the construction of a home, it seems almost customary for the homeowner to simply lay down gravel or rocks, thinking that they have already spent enough money in the long run. As a homeowner, however, it is important that you not only have a good driveway, but also one that that will stand the test of time. 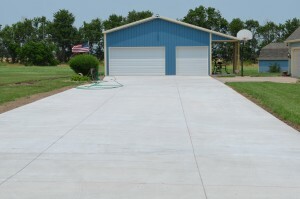 The second huge mistake homeowners make is attempting to lay a concrete driveway on their own. The cost to replace driveway may be high if you have it taken care of by a professional, but there are still plenty of reasons to do so. First, by going the professional route, you can be more sure of the job about to be performed. Second, a high-end professional warranty will be put into place on all work they complete. This will make certain the job not only gets done, but that it is guaranteed. Finally, when calculating the cost to replace driveway, you should factor in time. It could take you weeks to replace your driveway when the professionals can pull it off within a matter of days. Keep that in mind! A good driveway can add significantly to the value of a home while making it more aesthetically pleasing. Make sure that when you are adding yours, you call a professional team and settle for nothing less than the best. The driveway might not be a part of your home that you think about often (after the installation), but it is one of the most important! 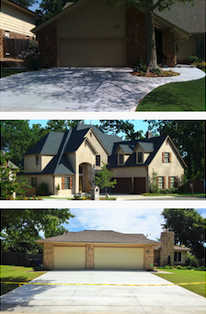 Call 918-960-1440 for a quote now and start your driveway off on the right foot.